Having been launched in 2017, it's not possible to give much information about a long, traditional history. However, Rivente Cognac is a collaboration between the contemporary and the traditional, with the Raclie family of the Charente providing the expertise and over a century of skill in the art of producing Cognac. Along with the founder of the company, Algen Albritten, each of Rivente's Cognacs have been created with the mixologist firmly in mind. 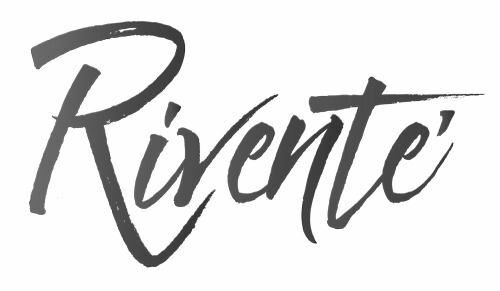 Rivente is a small, artisan brand that describes itself as 'a young, refreshing blend, meant for the adventurous drinker'. Everything about each of the Cognacs they produce is innovative, exciting, and perfect for those who like their Cognac in every which way, except the traditional. The youngest in the small range is an VSOP, and this is deliberate. Because, as the founders state, the mixologists of today want the freedom to use high quality Cognacs that pair well with their creations. Everything about Rivente Cognacs is crying out to take center stage–from the funky packaging, cool bottles, and a cheeky draw to the rebel that resides inside all of us. There are currently three products on offer from Rivente Cognac: A VSOP, Napoleon, and an XO. The brand is one that's calling out to 'a generation that is oblivious to the magic of a Cognac'. This will certainly appeal to the younger generation, and for to those who enjoy their Cognac long, in a cocktail, chased, on the rocks, or, perhaps on occasion, neat. There is no information about visiting Rivente Cognac. It's suggested you contact the house direct if this is something you want to do.